Product prices and availability are accurate as of 2019-04-19 22:14:33 EDT and are subject to change. Any price and availability information displayed on http://www.amazon.com/ at the time of purchase will apply to the purchase of this product. 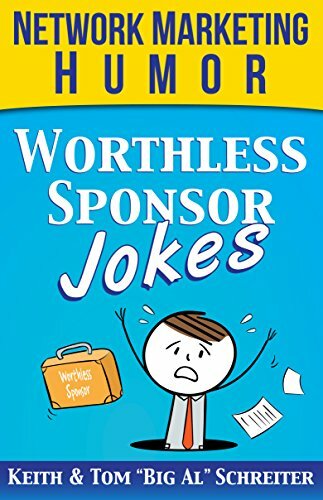 Here is a collection of worthless sponsor jokes from 25 years of the "Big Al Report." These jokes are meant for fun, not to be mean. So don't share them with humor-challenged individuals. Network marketing can be enjoyable, and we can have fun making jokes along the way. The journey is the experience. Let's have a great journey.